A wedding is a once-in-a-lifetime event, and you'll remember this special day for a lifetime. At Magical Day, we know how important your wedding day is, which is why we strive to offer one of the largest selections of wedding cake toppers at prices you can afford. Our products have been featured in a variety of wedding magazines, including Modern Bride, Maxim and Weddingbells. Our wedding cake tops have also been seen on TV, as our collection is far from ordinary. 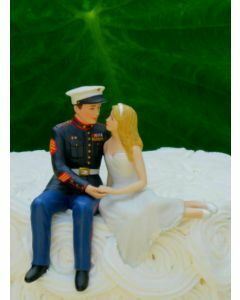 What sets us apart from other companies that offer wedding cake toppers and wedding accessories? Simply put - our discounted prices, our customizations offered for our wedding cake toppers and wedding accessories and our selection. At Magical Day, we want to make your wedding as memorable as possible and to achieve this, we have wedding cake toppers in every theme imaginable. Love motorcycles? 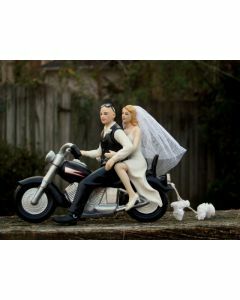 We have Harley Davidson wedding cake accessories that you and your partner will enjoy! Baseball cake toppers, football cake toppers and golf cake toppers for wedding cakes are great for the couples that love sports, while cell phone toppers describe the technologically connected couples. Of course, Magical Day offers a wide selection of traditional bride and groom wedding cake tops, such as our honeymoon bound car toppers and the Sophisticate wedding toppers. To complete our collection of cake tops for weddings, we also have ethnic toppers, multiracial, interracial, multiethnic, Hispanic, African American and Asian brides and grooms are available for almost every cake topper we offer. 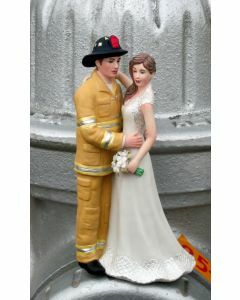 And since we understand that every wedding is unique, we have wedding cake toppers for pregnant couples, sports lovers and those who simply can't keep their hands off each other! All of our wedding cake accessories are quality-made and guaranteed to make your cake stand out! We know that you're bound to find wedding cake accessories that you'll love, but we also are committed to offering competitive prices. All of our selections of wedding accessories for weddings are 30% off, perfect for the budget-minded bride. We are also expanding our products to offer wedding favors with the same unique designs as our wedding cake toppers. Be sure to check back with Magical Day, as we continue to offer new and exciting products on a regular basis. And, the more you buy, the more you save, such as with our wedding and bridal accessories that come offered at 30% discounts every day of every year when you buy a wedding accessory collection or set!